For my Bake Off challenge this week I decided to have a go at the ‘Technical’ bake – often the trickiest – as I haven’t attempted one of Mary or Paul’s own recipes yet. 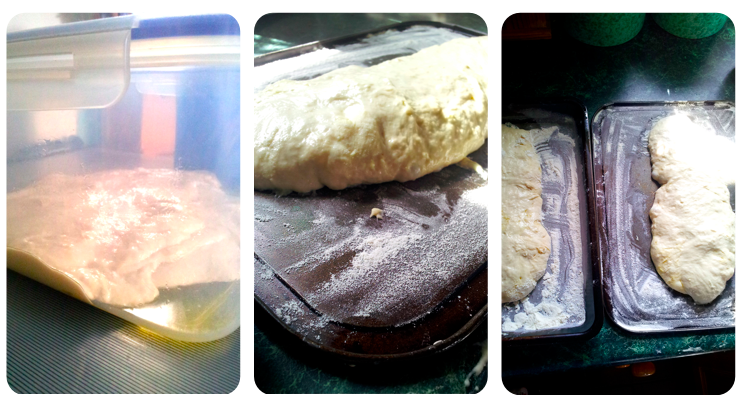 To make things even more difficult, I’ve never baked so much as a loaf of bread before, let alone a ciabatta. It was really lovely to fill the house with the smell of baking bread – there’s nothing quite as appetising as homemade bread, is there? The ciabatta seemed to rise well in the oven, and it had a good, crisp crust when I took it out. I think I would’ve been marked down for the slightly odd shape of my loaves and also because they were slightly denser than you would look for in a ciabatta. But they tasted really great. Especially with some oil and vinegar to dip into. Looks good! 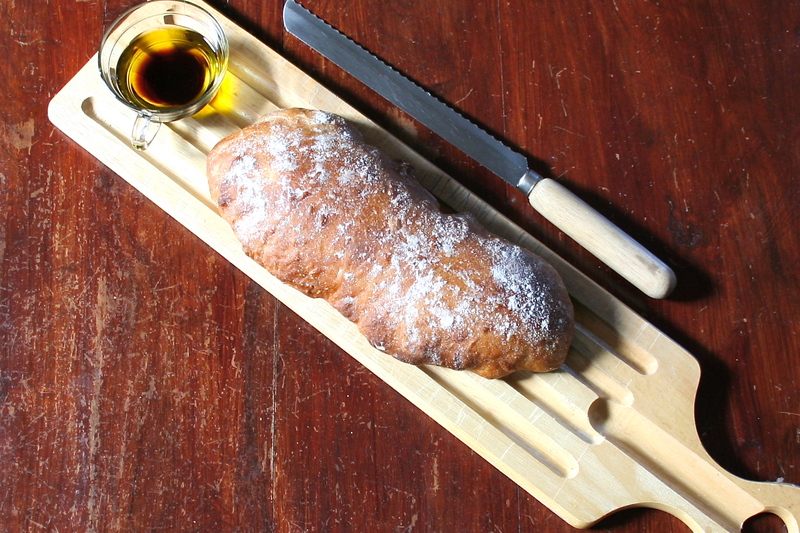 Got to love that oil/vinegar/bread combo. I know, it’s such a classic. I was quite surprised the bread turned out alright to be honest. Good crumb! Nice big holes! Excellent crust! Well done! Thank you 🙂 You’re like Paul/Mary.